TASK Ltd is a leading provider of security systems, telecare and 24/7 monitoring. TASK Ltd is a leading provider of security systems, telehealthcare and around the clock monitoring. Our multi-protocol 24/7 Monitoring Centre is based in our headquarters in County Meath, Ireland and has been operating since 1991. We have three divisions; TASK Community Care, TASK Security Systems and TASK Monitoring. We also have a dedicated in-house research and development department where both hardware and software engineers converge to design and develop state of the art technology primarily for the healthcare sector. Founder and Managing Director, Gerard Bunting, established TASK in 1974 as a security systems company. The transition into health and community care took place later that decade when TASK played a pioneering role in providing innovative technology solutions to Irish healthcare organisations such as the National Rehabilitation Board. Gerard Bunting continues to provide strategic direction and leadership within the TASK Group which now provides products and monitoring for tens of thousands of customers worldwide. It was a joint scheme run by Dublin City Council and the Health Board that first brought social alarms and 24/7 telecare monitoring to Ireland. The scheme provided funding for monitored social alarms to be provided to vulnerable members of the community. Launched in 1991 by the Department of Health, monitoring of the social alarms was initially carried out by Dublin Fire Authority before being transferred to TASK Community Care later that same year. This made TASK Ireland's first Social Alarm and Telecare Company, introducing what was then a novel form of care into the home. Today, telecare is recognised as a welcome alternative to hospitalization and more expensive forms of care. Following the success of the scheme the Irish government further rolled out social alarm and telecare monitoring in Ireland. ‘Senior’s Alert’ grants are now administered by the ‘Department of the Environment, Community and Local Government’. 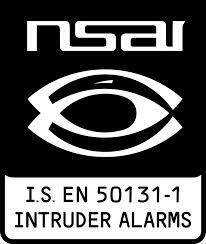 The grants cover the cost of having a socially monitored alarm installed in your home. They are available to people aged 65 and over. Telecare has proven to be a sustainable way for government to save on costs within the health service. Investing in this form of preventative care saves the Irish health sector tens of millions of Euro annually. Since starting out we have gone from strength to strength. We now provide security, telecare and 24/7 monitoring for tens of thousands of people in Ireland, the UK and throughout the world. Our Belfast office was opened in the Titanic Quarter in 2009 to meet the demand for our products in the North of Ireland and further afield. In 2014 we relocated from our premises at Guardian House Portrane, County.Dublin, a location which since 1996 had served as our Head Office. We are now headquartered at CityNorth Business Park in County Meath, Ireland. In 2015 TASK opened our online store, further enhancing our capabilities of distributing products to customers worldwide. In order to provide a high quality and robust service which offers value for money TASK partnered with Bosch Care Solutions in 1996. We work closely with Bosch and all our other suppliers to ensure that our telecare alarms and peripherals meet the highest standards. TASK prioritises customer satisfaction and continues to offering innovative, flexible and reliable solutions to many thousands of satisfied customers. Pictured, TASK Managing Director with Bosch GmbH Care Solutions Managing Director in Stuttgart, Germany.